If you’re ambitious and have a little extra time on your hands, you can even make your own homemade chorizo. 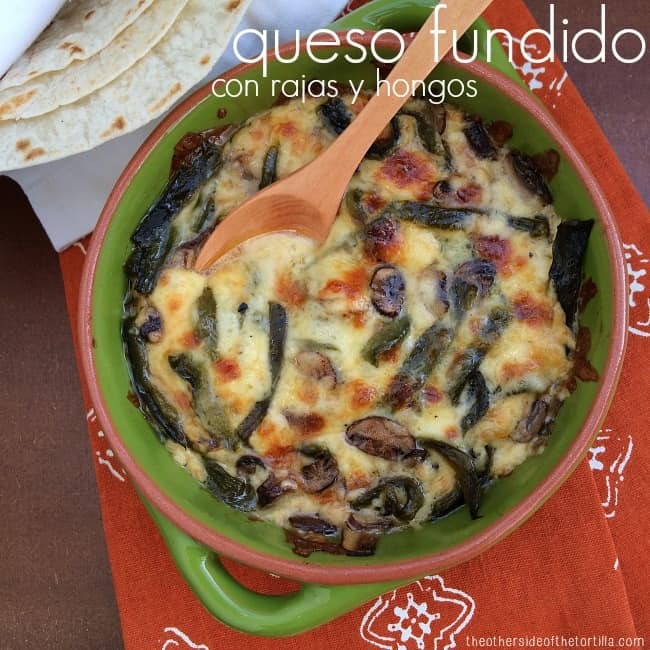 For this vegetarian queso fundido, you’ll need to know how to roast poblano chiles in advance. An easy antojito (appetizer) to please any vegetarian. Great for a holiday appetizer! Prepare your chiles first. Here's my tutorial how to roast poblano chiles. This can be done as long as two days ahead of time (just store the chiles in the refrigerator if you prepare in advance). Shred the cheese into a bowl and set aside. 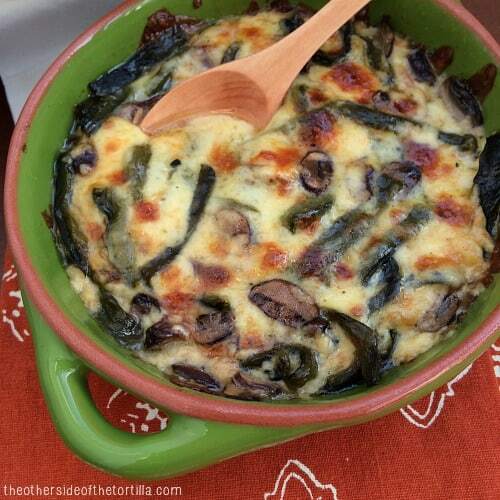 Slice the mushrooms and poblano chiles, and toss together with 1/4 teaspoon of kosher salt. Combine the mushroom and chile mixture with the cheese and put it into an oven-proof dish or casserole dish. Bake at 400º for 10 minutes, then heat under the broiler until all the cheese is melted and it starts to get bubbly and form some brown spots. Prep time includes the time to roast, sweat and devein the poblano chiles. JOIN ME AS PART OF THE AUTÉNTICO CHEESE SOCIETY! Find out more about Cacique’s Auténtico Cheese Society and join on Facebook and find more Cheese Society recipes from your favorite bloggers by searching the #AuténticoCheeseSociety and #CheeseSociety hashtags on Twitter and Instagram.